Kenley Jansen surrendered a game-tying home run in the eighth inning for a second time in as many nights, Dylan Floro allowed the Boston Red Sox to take the lead, and Kenta Maeda wore the brunt of the collapse as the Los Angeles Dodgers blew a 4-0 lead. With their 9-6 stunning come-from-behind victory, the Red Sox are in position to win the World Series in Game 5 on Sunday. They can do so because of a comeback that saw them erase a deficit from the seventh inning on. Yasiel Puig’s three-run home run in the sixth capped off a four-run inning and sent Dodger Stadium into a frenzy. Following a hit by pitch, Justin Turner helped light the fuse with a one-out double. An intentional walk followed and the scoring then began when Cody Bellinger’s chopper appeared to be a tailor-made double play with the bases loaded. But after fielding the throw to home plate, Christian Vazquez’s throw to first base went down the line, allowing Turner to score. Machado was unaware of what was unfolding, and didn’t break for third base until late, which forced Bellinger to retreat and remain at first. Puig’s blast halfway up the pavilion in left field offset the Dodgers losing a second runner in scoring position. For all the excitement that brought, the Red Sox immediately responded. Brian Dozier was in the on-deck circle to bat for Hill in the bottom of the sixth but the spot never came up. So Hill was sent to the mound in the seventh inning, only to issue a leadoff walk. He struck out Eduardo Nuñez and then gave way to Scott Alexander. His relief appearance lasted all of one batter as he walked Brock Holt. Those came back to haunt the Dodgers when Ryan Madson surrendered a pinch-hit three-run home run to Mitch Moreland with two outs. Not only did Boston strike again with two outs, but it meant all seven runners Madson has inherited in the World Series have scored. The Dodgers’ bullpen woes spiraled from there when Jansen was summoned into the game in the eighth inning for a second consecutive night. He again allowed a home run, with Pearce seemingly atoning for his errant throw to first base earlier in the game. Floro took over in the ninth and allowed a double followed by a go-ahead pinch-hit RBI single to Rafael Devers. 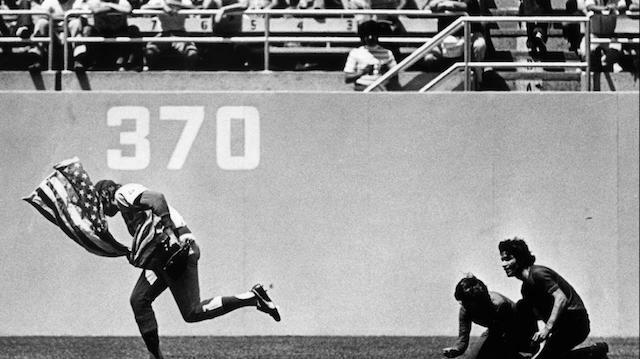 Maeda later allowed a three-run double and RBI single, with the extra runs proving costly. 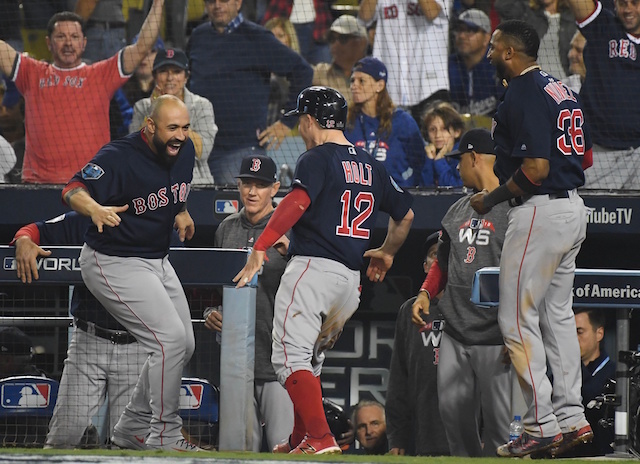 They essentially negated a two-run home run by Kiké Hernandez in the bottom of the ninth as Craig Kimbrel failed to retire the first two batters faced. 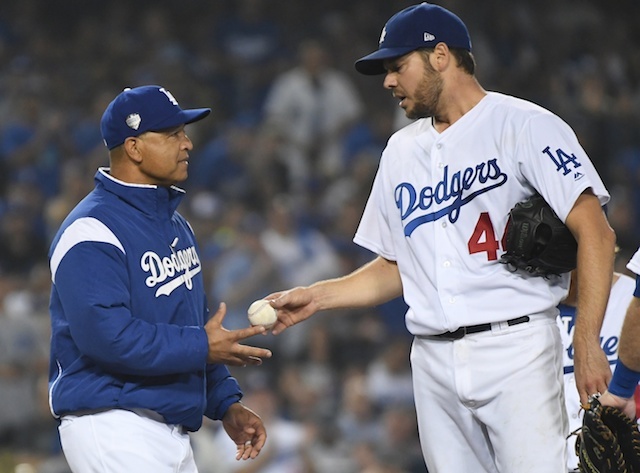 Although he wasn’t overly sharp, Rich Hill proved to be effective. He issued two walks and hit opposing starter Eduardo Rodriguez but had a no-hitter through four innings. 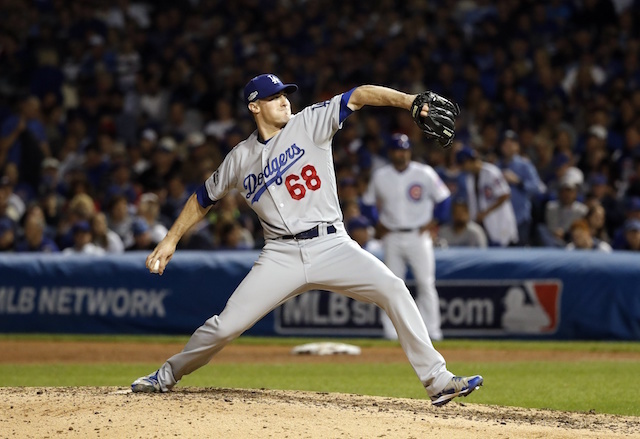 Hill nonetheless became the first to hit a pitcher in a World Series game since Mickey Lolich plunked Nelson Briles in 1968. Hill endured some near-hits, including a drive down the left-field line that hooked just foul. Christian Vazquez’s one-out single in the fifth broke up the no-hitter but nothing came of it. It was the only hit hill allowed over 6.1 innings. He was ultimately charged for the one run and finished with seven strikeouts.